KazCM runs the marketing for my businesses at The Rabbit Spot. They have done a great job taking over my website, improving my SEO, running our social media, and most importantly, getting people in our doors. This marketing company truly cares for the business owner. 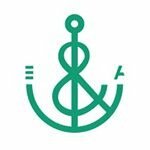 I highly recommend them if you are looking for a great marketing agency. Kazsource is one of the rare business that offer excellent value in this space and provide an ease of accomplishing what we mutually set out to do. Most importantly they do what they say they will do. As we approach the end of our first year together we have seen our presence in the marketplace with those we most wish to influence greatly enhanced. 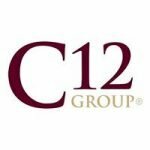 We are confident that our brand is in good hands while we devote the vast majority of our time interacting with our C12 members and growing our relationships which is high value time for us. I’ve used Kazsource now for over 2 years. My experience in working with their team has been nothing but first class. I continue to be impressed with their expertise and attention to detail. They’ve delivered results for my firm. An added bonus is that they are a cool group of individuals to work with and have their hearts in the right place.